THE PERFECT FLOOR FOR YOUR RETAIL STORE OR BASEMENT! Almost all of home owners are faced with concrete challenges such a cracking and deterioration. Concrete has been known to be an amazing structural product to build foundations, skyscrapers, and more, however, concrete is not a great wear surface and easily gets affected by road salts other contaminates. Our Polymer Coating system is designed to protect your concrete and add a wear surface to keep your concrete strong. Good preparation is key to achieve a long lasting finish. We utilize a number of preparation techniques including shot blasting, scarifying, and diamond grinding. Grinding is the preferred method of prep in most cases, as it aggressively removes surface material while leaving a smooth profile. Our Werkmaster grinding systems are considered among the best available in the world. The eight smaller diamond discs allow these machines to follow contours of the surface while maintaining a very high rate of production. All of our prep systems are designed with dust extraction systems to capture 99% of the dust created. When it comes to fixing concrete, it is highly recommended only to use Epoxy or a similar resin repair products to repair the cracks and deterioration. We only use proven Epoxy Gels to repair all the cracks and deterioration and prevent lifting and allow for a flex and movement in the repaired area. Most companies for the last 25 years have been using cementitious products such concrete fill, or even quick curing engineered concrete. The flaw in this method is the bond, concrete does not bond well with old concrete. Pressure from beneath the concrete pad, will push through and find the weakest point. It cost less to use cementitious products do perform concrete repairs than Epoxy Gels, however, it is a guaranteed future failure. This is why we use Epoxy repair Gels to fill all of the deterioration and cracks. Once the concrete is ready, we will begin to apply an Epoxy base coat which cures within 8-12 hours. Our Epoxy is 100% solids and will not off-gas and will not have any odor. We apply 1 Gallon per 150 square feet, which will give us 10-12 mils of coverage. Using Epoxy over quicker curing products allows for a longer soaking time and a much stronger bond. 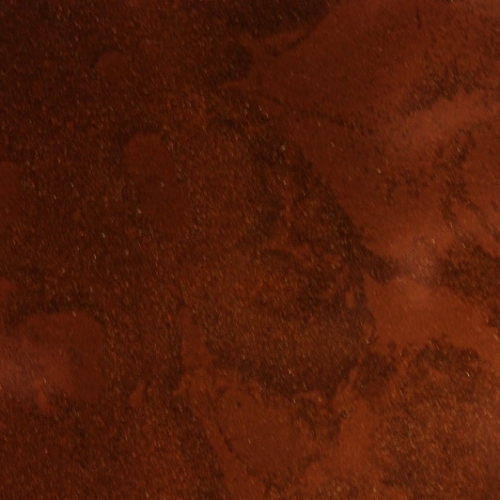 Application of Metallic colour chosen is troweled on to the floor to 8-10 Mils thick. Curing will need to occur before out topcoat is applied. What is the cost of an average basement? Most companies charge anywhere from $9-$12/per square foot and the average basement is 950 square feet. At Complete Concrete Care, we quote the project based on the amount of work required for the job. We offer fair pricing based on the work required to ensure you have a long-lasting problem-free floor coating. Book your free estimate with the forum located to the right. Or call 403-818-1847 and mention you found this promotion page.